First off, what do you all do at 9pm on a school night after a long weekend? I clean up my kitchen and decide I need to take pictures of my sweet tea pitcher. And then maybe the ‘ingredients’ (all 3 of them) because they’re still on the counter. And then I have to FILL a cup to make it look presentable so then I have to just go ahead and drink it. And now that I’m up drinking sweet tea and watching some awful OWN show that I don’t even know the name of I may as well throw out a blog post because if I wait until tomorrow I will forget the pictures exist and no one will ever know how I have been downing Starbucks tumblers of sweet tea like it’s going out of style. I’ve been a fan of sweet tea (southern style loaded with sugar that almost tastes like peroxide, not Brisk like they give you in HI when you order a sweet tea) since we lived in Hawaii and my first out of Tucson friends were all from Tennessee. Jenifer taught me to love sweet tea. And then I found Dixie Grill where they stir large vats of it with their arms and serve it in giant mugs the size of my head (that a tiny baby Layla was still able to grab and spike to the ground, shattering it into pieces). And then I moved to Alabama. Helloooo Guthrie’s. You can buy it by the gallon? And it’s amazing? *drool* Speaking of Guthrie’s…their sauce would be a whole new post. Yum. I’ve been making the tea off and on. I crave it and need it and then I feel bad because we are taking in so. much. sugar. We go months without it until I have it somewhere or hear about it and then I run out to buy tea bags and go through it all over again. Which is what I’ve done recently. Only this time…I made it with Truvia. Don’t judge me all you die hard southern sweet tea drinkers. I’ve been buying separate gallons of water just to make tea so I don’t blow through our monthly delivered water jugs. 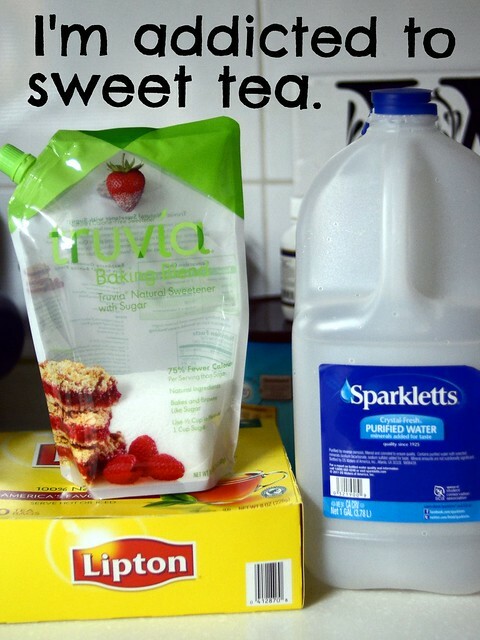 And FYI – 1.5 cup sugar = 3/4 cup Truvia. I think it tastes pretty good. Not too fake. Even Thomas said it didn’t taste bad and usually he will be #1 when it comes to calling me out on my bad tasting ‘healthy’ food. So, I’m not sure how good chugging all the Truvia is but I spose it is natural compared to other artificial sweeteners. I may try Xylitol next since it’s good for our teeth…but the package is in Korean so the conversion isn’t as easy. Unless I Google it. I’m sure I could figure it out. Also, I’m not sure if the caffeine is so great. I’m a big coffee drinker but usually just one big strong cup in the morning…not a steady flow through out the day. 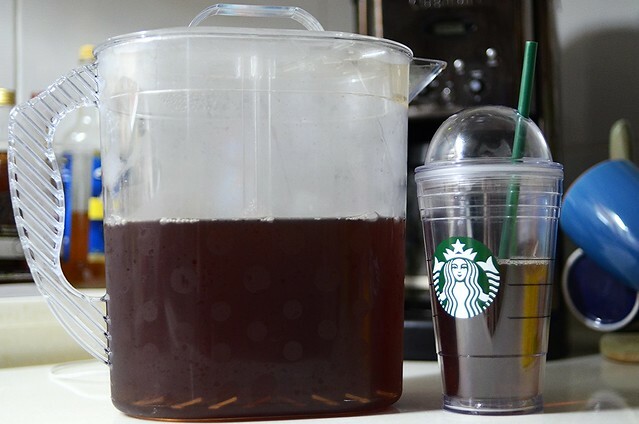 PS – I may or may not have bought this gallon family sized Pampered Chef Quick Stir Pitcher JUST to make sweet tea. We make sweet tea all the time here now that we live in Alabama! Girl, you and me both! Love me some sweet tea!